You'd think you know your body well enough to avoid breakouts or manage wild, unruly hair, but truth is that your bodies can betray you overnight, especially on those sleepless nights. Bad skin and hair days happen to everyone, and we could all use a little help from technology when they do come around. These are a handful of high-tech beauty gadgets to help you look your best when you need that extra oomph - or whenever you just want to make your everyday routine a bit more fun. Our pick for an electric exfoliator is the Clarisonic Mia Sonic Cleansing System. 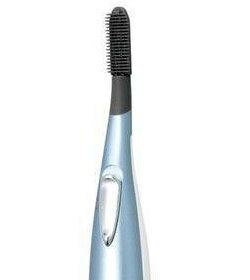 Flip the switch on, and it vibrates to simulate a super-fast brushing motion when you press it against your skin. The Mia deep digs out impurities and exfoliates your skin with the help of a cleansing gel. You can also pop the facial brush head off the device and replace it with a larger brush for your body. We recommend asking your dermatologist whether the device is right for you, especially if you have sensitive skin. When it comes to mascaras, only half the magic resides in the formula. The other half? It comes from the wand. You'll see a lot of different mascara brushes on the market, from bent ones to grooved ones to ones that look more like combs. They are inexpensive, but when you apply the mascara, it doesn't always apply evenly along your eyelashes despite you best efforts. 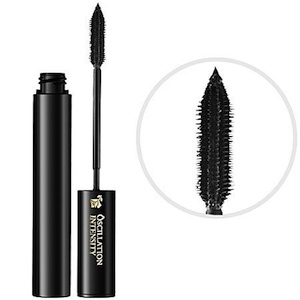 That's where vibrating mascara wands such as Lancôme's Ôscillation Intensity Mascara come in. They're built to give you a smooth coating of mascara along your eyelashes from root to tip with the wand doing all the work. Thanks to technology, ending up with stubby eyelashes can be a thing of the past. Eyebrows frame your face, and groomed eyebrows will make you look a lot more put together. Shaping them to complement your features - or having them shaped at a salon if you'd rather a pro do it - is only the beginning, and you have lots of stray hair plucking to do to maintain them. Tweezers equipped with LED lights promise to make even the smallest and finest stray hairs visible. 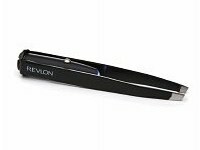 Revlon's Spotlight Tweezer with LED Technology puts the light right where you need it. Flat irons can be tricky to use. Use a heat setting too high or use it on one section of your hair too long, and you risk burning your precious tresses. What heat setting to use depends on the texture of your hair - the thinner your hair is, the lower the temperature should be - but it's entirely possible to have a head of hair with varying textures. To make the whole process faster, manufacturers have come up with hair irons that can sense your hair's texture and adjust their temperatures accordingly. The FHI Heat Technique G2 Styling Iron is a great choice and it can automatically adjust heat settings. Not all of us are blessed with naturally long, curled lashes, and chronically straight lashes can fall flat pretty quickly even if you spend a large part of your routine curling them. One way to get your lashes' curl to hold is to apply heat to your eyelash curler, so it's no surprise that a number of companies have come up with their own curlers that have built-in heating mechanisms. Panasonic's Heated Eyelash Curler does the trick on the cheap. These are but a few of the high-tech beauty products you can get right now, and we're guessing there's a lot more to follow the more technologically advanced the world becomes. In a decade, the devices in this list might look positively low-tech, so we've got to ask: if you're given the chance to design your own fancy beauty device, what would you come up with? A lipstick that applies itself on your lips? An auto-eye make-up applicator? Let us know in the comments!